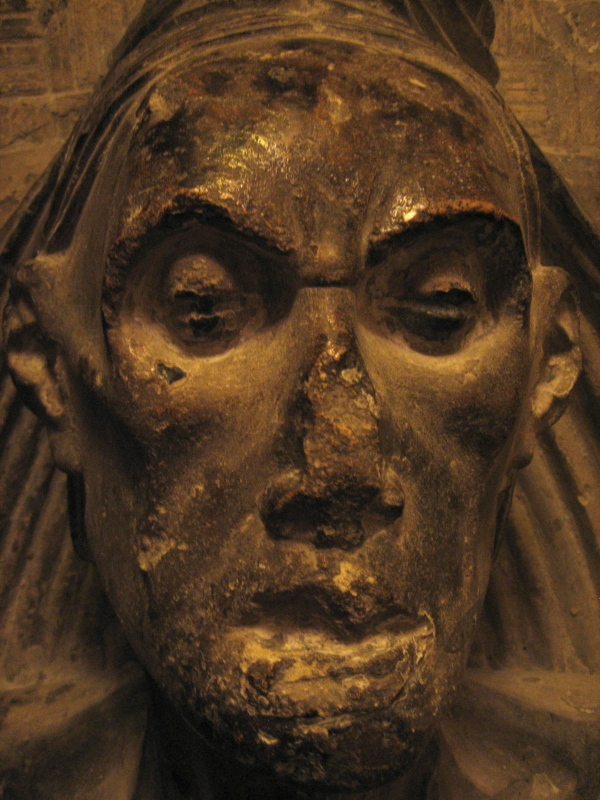 This is the face of the dead man in Clerkenwell. He does not look perturbed by the change in the weather. Once Winters wore him out, but now he rests beneath the streets of the modern city he will never see, oblivious both to the weather and the wonders of our age, entirely oblivious to everything in fact. Let me admit, although some might consider it poor company, I consider death to be my friend – because without mortality our time upon this earth would be worthless. So I do not fear death, but rather I hope I shall have enough life first. My fear is that death might come too soon or unexpectedly in some pernicious form. In this respect, I envy my father who always took a nap on the sofa each Sunday after gardening and one day at the age of seventy nine – when he had completed trimming the privet hedge – he never woke up again. 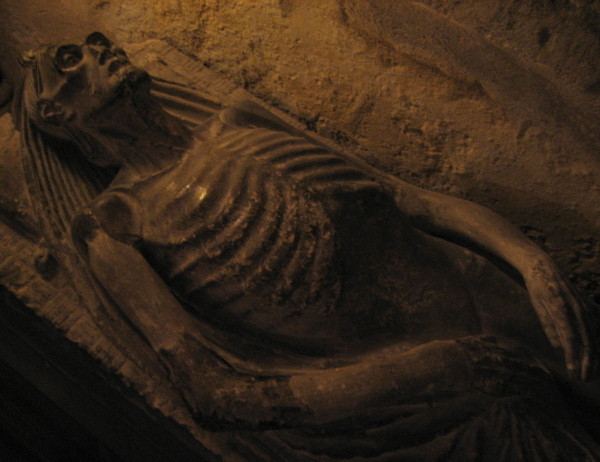 It was many years ago that I first made the acquaintance of the dead man in Clerkenwell, when I had an office in the Close where I used to go each day and write. 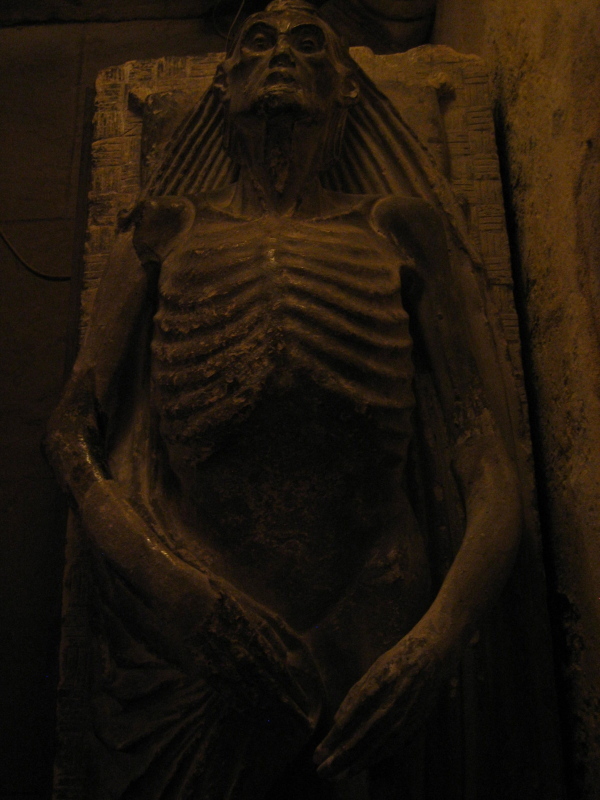 I was fascinated to discover a twelfth century crypt in the heart of London, the oldest remnant of the medieval priory of the Knights of St John that once stood in Clerkenwell until it was destroyed by Henry VIII, and it was this memento mori, a sixteenth century stone figure of an emaciated corpse, which embodied the spirit of the place for me. Thanks to Pamela Willis, curator at the Museum of the Order of St John, I went back to look up my old friend after all these years. 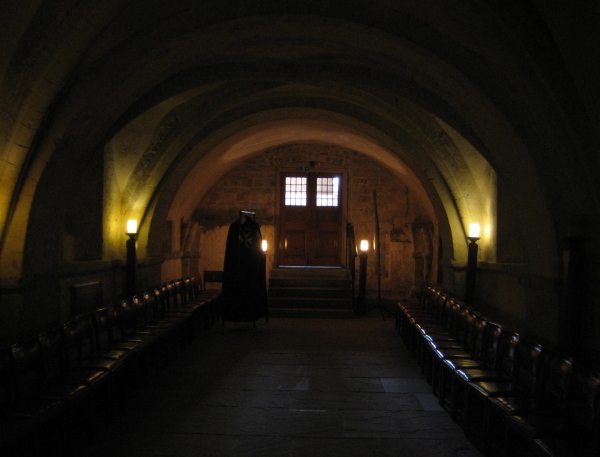 She lent me her key and, leaving the bright October sunshine behind me, I let myself into the crypt, switching on the lights and walking to the furthest underground recess of the building where the dead man was waiting. I walked up to the tomb where he lay and cast my eyes upon him, recumbent with his shroud gathered across his groin to protect a modesty that was no longer required. He did not remonstrate with me for letting twenty years go by. He did not even look surprised. He did not appear to recognise me at all. Yet he looked different than before, because I had changed, and it was the transformative events of the intervening years that had awakened my curiosity to return. There is a veracity in this sculpture which I could not recognise upon my previous visit, when – in my innocence – I had never seen a dead person. Standing over the figure this time, as if at a bedside, I observed the distended limbs, the sunken eyes and the tilt of the head that are distinctive to the dead. When my mother lost her mental and then her physical faculties too, I continued to feed her until she could no longer even swallow liquid, becoming as emaciated as the stone figure before me. It was at dusk on the 31st December that I came into her room and discovered her inanimate, recognising that through some inexplicable prescience the life had gone from her at the ending of the year. I understood the literal meaning of “remains,” because everything distinctive of the living person had departed to leave mere skin and bone. And I know now that the sculptor who made this effigy had seen that too, because his observation of the dead is apparent in his work, even if the bizarre number of ribs in his figure bears no relation to human anatomy. There is a polished area on the brow, upon which I instinctively placed my hand, where my predecessors over the past five centuries had worn it smooth. This gesture, which you make as if to check his temperature, is an unconscious blessing in recognition of the commonality we share with the dead who have gone before us and whose ranks we shall all join eventually. The paradox of this sculpture is that because it is a man-made artifact it has emotional presence, whereas the actual dead have only absence. It is the tender details – the hair carefully pulled back behind the ears, and the protective arms with their workmanlike repairs – that endear me to this soulful relic. 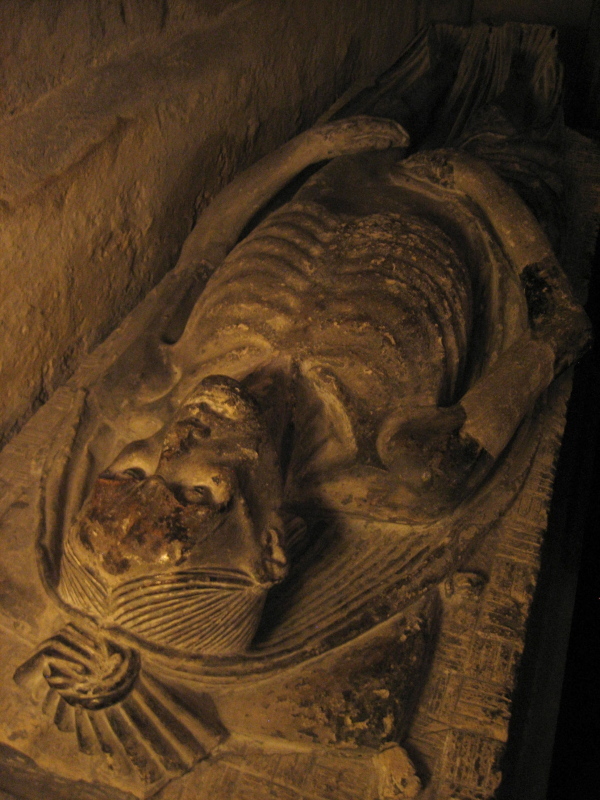 Time has not been kind to this figure, which originally lay upon the elaborate tomb of Sir William Weston inside the old church of St James Clerkenwell, until the edifice was demolished and the current church was built in the eighteenth century, when the effigy was resigned to this crypt like an old pram slung in the cellar. Today a modern facade reveals no hint of what lies below ground. Sir William Weston, the last Prior, died in April 1540 on the day that Henry VIII issued the instruction to dissolve the Order, and the nature of his death was unrecorded. 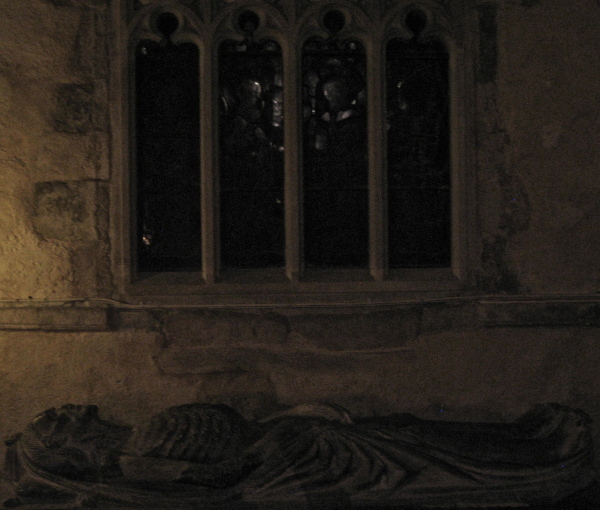 Thus, my friend the dead man is loss incarnate – the damaged relic of the tomb of the last Prior of the monastery destroyed five hundred years ago – yet he still has his human dignity and he speaks to me. Walking back from Clerkenwell, through the teeming city to Spitalfields on this bright afternoon in late October, I recognised a similar instinct as I did after my mother’s death. I cooked myself a meal because I craved the familiar task and the event of the day renewed my desire to live more life. 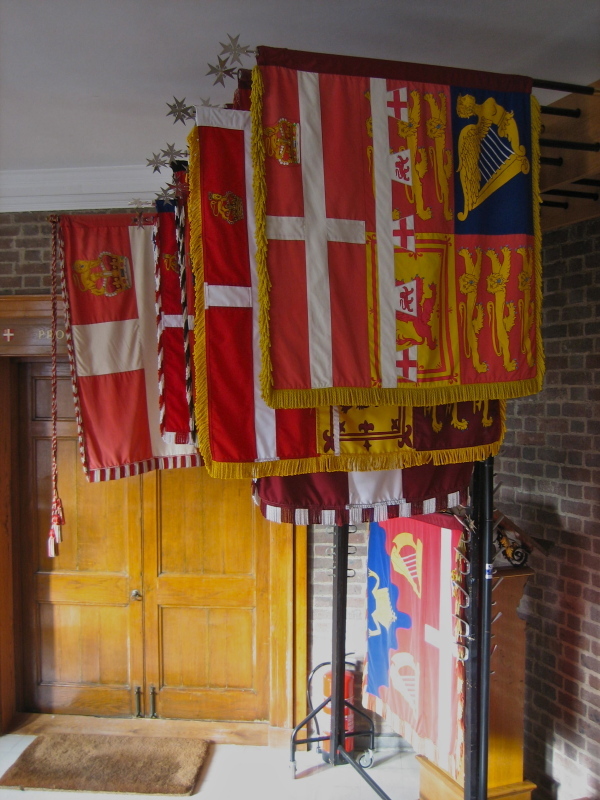 Who uses the flag of “St George reversed” so to speak, with the golden crown in the fly? I note that the front one also has an altered version of the “label” for eldest son …. When I was in my twenties the head porter of a hospital offered to show me around the mortuary, a chance I leapt at. After describing the implements of post mortem he asked whether I would like to see a body and I agreed, a new experience for me. What overwhelmed me was not seeing a dead body after post mortem but the experience of a body without human spirit, how it was nothing, a mere waxwork, a doll, no more than this effigy. A lovely piece of writing accompanied by atmospheric pictures. I so admire you for looking after your mother while her mind and then her muscles, presumably, gave up on her. Many people would not do it for a parent nowadays, and should you ever need it, I hope someone will be as kind to you. Meanwhile, eat, drink, walk your darkened streets, write and photograph; many, many people appreciate your work. I love this crypt. It is a fascinating place. I visited it while working for St John Ambulance. 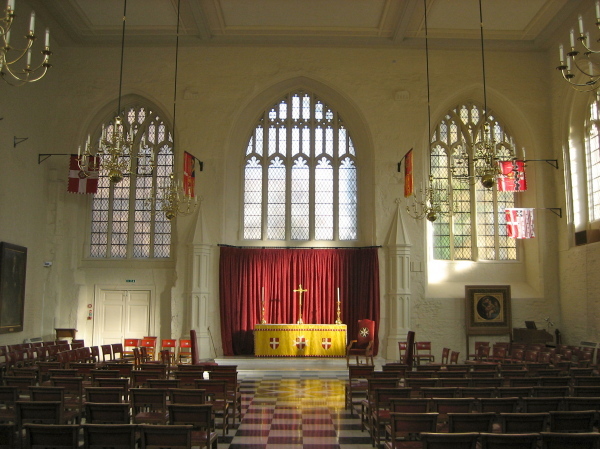 The Museum of the Order of St John used to offer accompanied visits to the crypt (I don’t know if they still do). Your attitude to life and death resonates with me. Once the spirit of a person has gone, they really have departed. My first visit abroad was to England at the ripe old age of 34. I’d fantasized a plenty about the castles, cathedrals, and tombs I’d see, and I was not disappointed, of course. Your post reminds me of the thrill of encountering another culture, history, and place through travel, as well as bringing into vivid contrast practices of treatment and memorialization of death. Here in the southwest U.S., my first sighting of a dead person came in the form of the Anasazi/Pueblo people mummies on display in various state and national parks such as Mesa Verde in Colorado. It was a reprehensible violation of tribal spiritual and cultural beliefs that has, thankfully, ended. Still, the capture of the once-living person’s facial expression through the process of mummification was shocking for us kids. “Esther,” as one mummy was called by the Mesa Verde park officials, clearly died in agony. 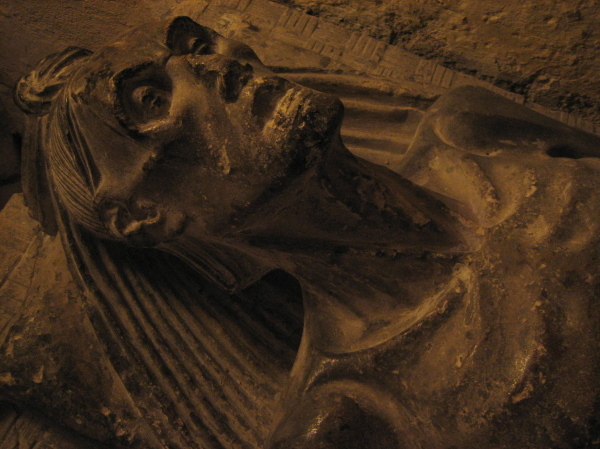 Thus, I had a bit of opposite reaction to death as other readers here–I still felt the mummy emitted a horrifying “aliveness.” And that is my Halloween post! Thank you for this wonderful blog. What a strange coincidence. 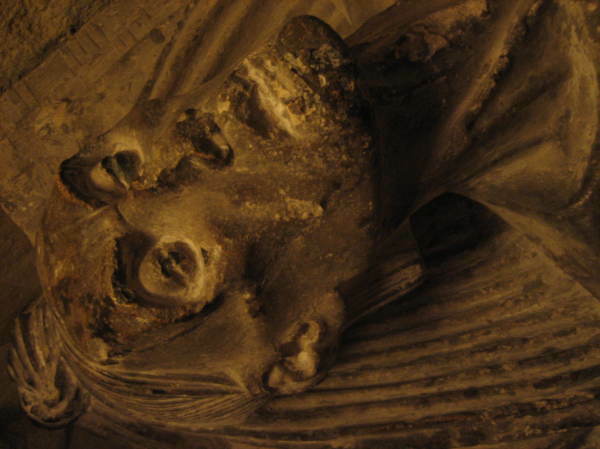 I visited the crypt with my young son only last week and the effigy struck me deeply, having been at my mother’s bedside while she wasted away to a similar vision as this, but one that I didn’t find disturbing, despite it being my first such encounter. The figure struck me as very poignant and familiar at the time, but I was thankful that it had little effect on my son, so full of life and innocent of the reality of death. Thank you, Gentle Author, you often seem to post exactly the right thing at exactly the right time! So beautiful. Thanks so much for sharing this through your words and photos. Your beautiful piece today has brought tears to my eyes. Echoing Jacqueline Sarsby’s lovely tribute above, your tireless work brings so much pleasure to so many. You really show the best of those you interview and we come to know them a little too. Both of your parents would be proud of you GA, this is such a thoughtful and well written piece. Having been with my husband when he died I can confirm that the immediate feeling is one of absence, and, in my case, an overwhelming sense that all was well with him. hard to explain but true. Gentle author, thank you once again for a beautiful and thoughtful piece. Thank you for who you are and what you do. We treasure you. Thank you for such a good piece. Having been with both my parents as they died, your words resonate with me too – the quiet tenderness of much of that time – and the subsequent need to grasp life. I look forward to visiting your dead man of Clerkenwell when I am next in that part of London. I echo the previous comments- a beautifully written and moving piece.